Math for toddlers? You might wonder what I mean. It is not like toddlers are doing addition or subtraction... right? Did you know that you begin teaching simple math concepts to children long before they ever enter a classroom? There are so many ways to embed learning math concepts like counting, measuring, and identifying more and less through simple daily experiences along with easy activities that you can enjoy alongside your child. My husband loves math and he grew up doing math problems and talking about numbers all of the time. My kids love it too! On the other hand, math was my least favorite subject. As I became an elementary school teacher and found more ways to teach math to kids with different learning styles (and in a more hands-on way), I began to love it! I am going to share some quick and easy-to-set-up activities that help you introduce your child to some simple math concepts! We are going to start with NUMBERS and OPERATIONS! WHAT ARE NUMBERS & OPERATIONS? This means understanding the concept of number, quantity, order, ways of representing numbers, one-to-one correspondence (that one object corresponds to one number), and counting. When we understand math concepts, we can use what we know as we interact with our children each day. Kids will do all of these things at different stages. Some kids will be fascinated with counting to 10 or 20 way before others are. Just because they can count up to 20, doesn't mean they actually know what they are doing or what that means. 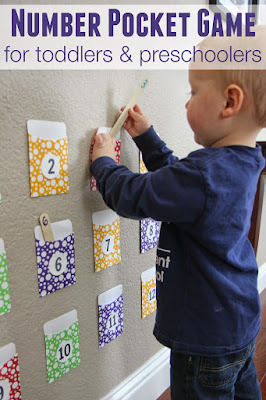 Rote counting and matching numbers is only a beginning stage to start understanding numbers. 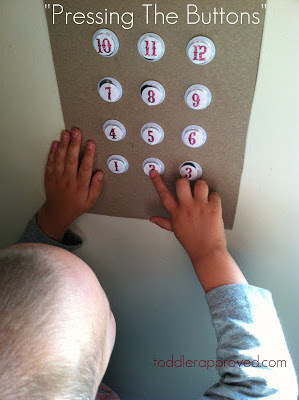 When we are exploring numbers with toddlers it is all through PLAY and every day experiences and interactions! This is not the time to break out flashcards or do drill and kill rote learning activities. The number activities we are sharing below are simple and playful. They help teach the math concepts shared above while allowing you to connect with your child. They understand "more" and "enough" and "no more." They also may understand the words one and two or "pick two." Many two-year-olds can hold up two fingers to show you. 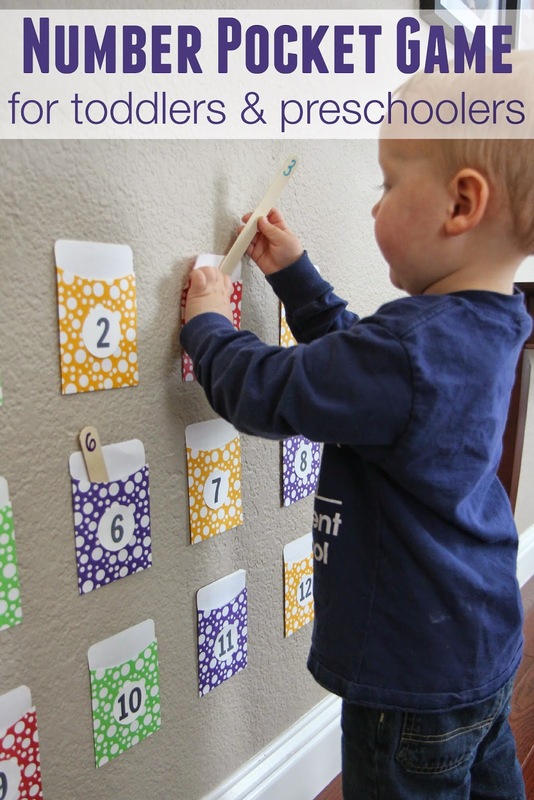 Some two-year-olds will be able to recite numbers words in sequence or may be able to identify some numbers. Many will still recite numbers out of order. There is a broad spectrum of abilities during the toddler years. Each toddler will be different. 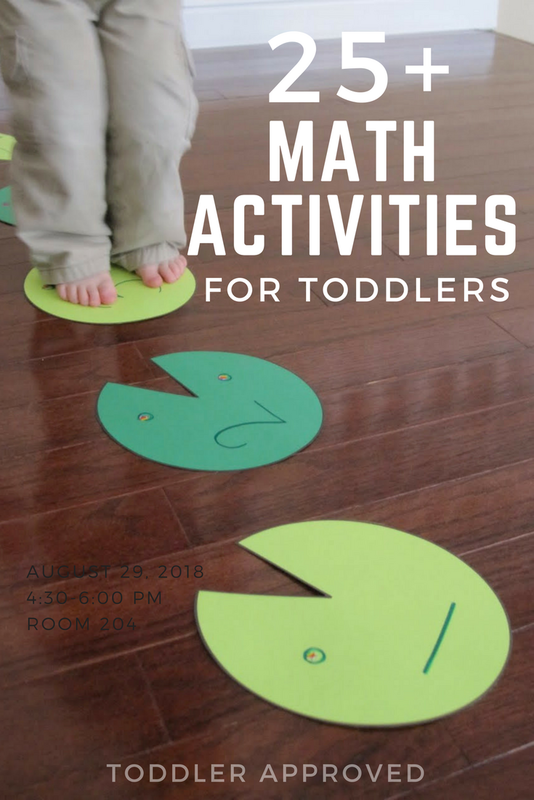 I encourage you to focus on exploring these math concepts and not worry about comparing your toddler with their peers or trying to rush them to mastery of these skills. Matching numbers is a simple way to teach kids to recognize numbers and be able to say their names. These activities are great for helping kids learn to recognize, name, and match numbers. Rhymes and songs are great for teaching math concepts! They really stick into memories and kids love using their hands to help them sing as well. 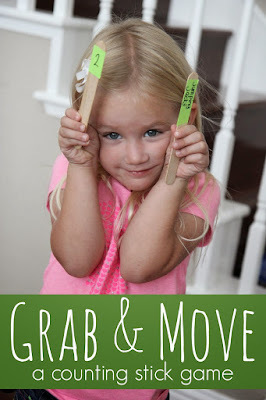 When you pair music with movement, kids retain so much more! If you click on each rhyme or song, you'll be taken to a YouTube video where you can listen or watch and sign along! These simple, but fun activities are great for helping kids count from 1-10 and even higher in a playful way! These are a few of our favorite books that explore numbers and counting! They are simple, colorful, and short to read. 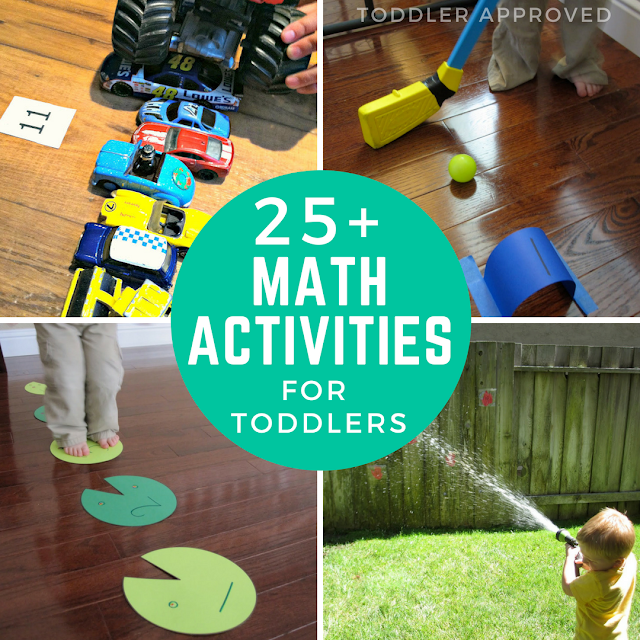 These number activities are great for helping your toddler explore numbers while also moving, exploring, and playing! Do you have any other simple ways that you like to embed math into everyday life? Count together and count the eggs that are added, tablespoons, etc. Workout together! Count jumping jacks, laps around the kitchen, and push ups! Count when you are having snack! Encourage your child to eat 5 raisins or 3 slices of apples. Count them up together.